HAVANA Former Cuban leader Fidel Castro said he doesn't even suffer from a headache in an article he published in state-media Monday criticizing those who spread rumors he was on his deathbed. 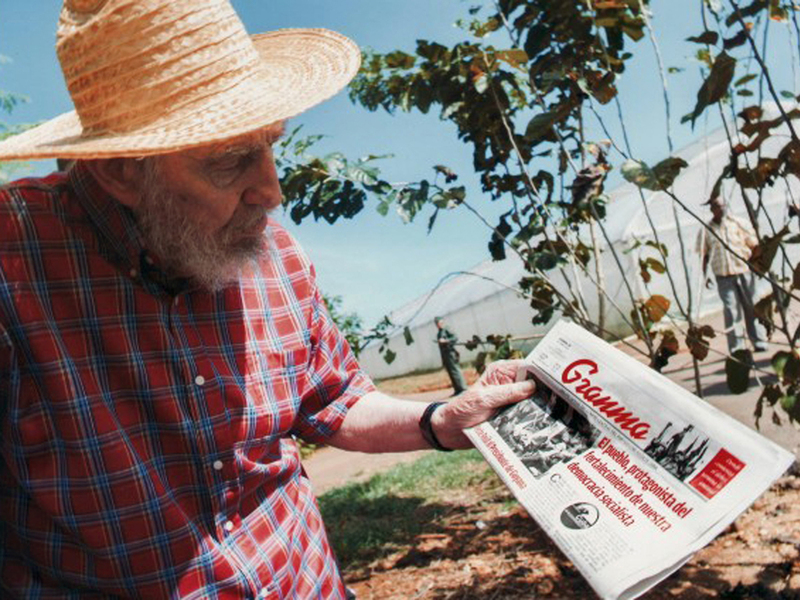 The article is accompanied by photos taken by son Alex Castro that show the 86-year-old revolutionary icon standing outside near some trees wearing a checked shirt and cowboy hat, including one in which he is seen reading Friday's copy of the Communist Party newspaper Granma. "I don't even remember what a headache feels like," Castro claims, adding that he was releasing the photos to show "how dishonest" the rumor mongers have been. The article was published on the state-run Cubadebate Web site early Monday. It is the latest evidence the former Cuban president is alive and seemingly well after more than a week of intense speculation he was seriously ill.
"I stopped publishing 'Reflections' because it was really not my role to take up pages in our press which are needed for other work the country requires," he wrote. Castro stepped down in 2006 following a severe illness, handing power to his brother, Raul.